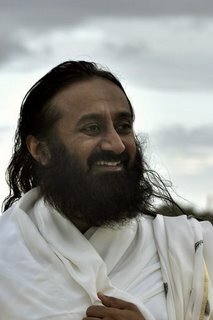 Sri Sri Ravi Shankar - Celebrating Life with Silence: Are You Stuck In Events? Are You Stuck In Events? That's up to you. If you want to play multiple roles, you can do that. But I think children should go to school and mix with other kids. See things from a bigger perspective. The world is like a dream. If you are stuck to events, you can never see the being. Being is beyond events, so your purpose in life is to realize the being and stick to the being, not to the events. Events are just like a drama. An actor comes in several different dresses and performs and gets back into the screen. If your mind is stuck in the event, there is no better ignorance than that. You are so ignorant then you live in a small hole, you have to get the events out of your head. Pleasant, unpleasant, all events. Do you see what I am saying? All that happened this morning – you standing at the airport when I came out of the VIP room, isn’t it all like a dream now? What is a dream? It's an impression in the mind. What is a memory? It is an impression, that's it. Everything that has happened till this moment is like a dream. Why we say it's like a dream, because in the waking state you are experiencing a dream. In a dream, you don't have control. But in the waking state you can create, remember or recollect, that is why it's like a dream, but it is an impression. So, realizing the dream-like nature of the world moves you onto another dimension, and that is where reality begins. What does it mean to love yourself and what is the implication of it? This simply means to realize that you are loved, that's all. Love is not an act, it is what you are; your state of being. When you are calm, serene and subtle, that's what it is. Usually here in the west, if one is angry at oneself then it is understood as ‘I don't love myself’. If you are angry at others that means you don't love others, no. Love is there, you should never question it. Love gets distorted when there is no knowledge. With knowledge, it remains pure. When love gets distorted it becomes anger. You love perfection and so you get angry. You want things your way and so you get anger. When you love objects, that is greed. When you love yourself too much that is possessiveness! This is all love coming forth as emotion. So, if you love yourself just relax in peace, don't be hard on yourself. 1. When they pity themselves. 2. When one feels, ‘Oh, I'm so righteous, I'm too good, I did so much and see nobody recognizes me, nobody loves me’. Thinking about your goodness you can become hard on yourself, and thinking about your bad qualities you become hard on yourself. In either case, you go off balance. When you think good about yourself you will definitely find bad qualities in others.You will search and find the wrong in others, otherwise you can never feel too good about yourself. Also, when you think others are so good and I'm not that good, I have these negative qualities then you become hard on yourself. In either case, you have fallen, you are not on your bicycle, you are not balancing. Usually we think that people who are hard on themselves are those who criticize themselves. When you praise yourself also you are hard on yourself! Do you see what I'm saying? When you stick to your good qualities you are hard on yourself, and when you stick to your negative qualities you are hard on yourself. 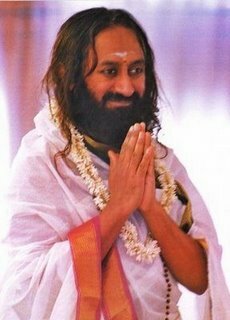 Gurudev, everything seems so simple and so easy when I'm here but once I'm out of here, that’s when all the challenges start. That's why it is necessary to be in the Guru's cocoon till you are able to fly as a butterfly. Knowledge is easier here. A worm's intention is to become a butterfly, but it does the opposite, it gets into a cocoon where it cannot even move out. Either you can be a worm or you get into the cocoon and then you start flying. That's why you find it easy here. In the Yoga Sutras, you were mentioning that when you are meditating you get intuitive message. How do you know when to follow them and when not to follow them? Just be spontaneous and don't try to follow it because you never know how much of it is Yoga Maya. 1. Maha Maya which is total ignorance. People who have no knowledge of spirituality. Just put yourself in their place for a moment. People who are not on the spiritual path what do they do? They wake up in the morning, brush their teeth, drink their tea, stuff themselves with burgers, run to work and do whatever they want to do there. Then they come back in the evening, eat a big meal and go to bed. That's it, their whole life is like that. They are not sensitive and they are not sensible. They are like stones. You don't find humanness inside of them, and they don't feel themselves either. They also don't feel anything about anybody. This is Maha Maya; the deep darkness. 2. Moha Maya which is attachment. I am centric everything else is around me. Moha Maya is all mine, this is mine, that is mine, my word, my thought, my thing. Day and night you are only saying mine, mine, mine, mine and that gives you a lot of miseries. It doesn't let you see things as they are, this is Moha Maya. Attachment to very trivial things is Moha Maya. 3. Yoga Maya . Yoga-maya is these experiences, the subtle inner experiences of different siddhis coming to you, and different channeling., Ssome energies comey is coming and talking to you. and suddenly Gabriel has come and joined and she is saying things and Angel is coming and all that. See that love around? This is Yoga-maya., oOn the path of yoga you get these siddhis wherehis, some spirits come and start talking to you and then you totally get sucked into that. These experiences remain for a little while and then they go away and that leaves you in a deeper darkness. Many times, Yoga Maya is really tricky because there is some 60-70 percent truth in it, so you will start believing it. The reverse also happens, suddenly you feel ‘Oh, I've been cheated’. I know about one lady, she was a very good meditator. She got into Yoga Maya. She would get different spirits coming and telling her ‘don't do this’ and ‘don't do that’. She would tell this to others, many times it would come true. Once that same spirit came and told her, "Your husband is a diabetic, don't give him medicine he will be fine”. Listening to her inner voice she didn't give medicine to her husband and he became blind. When your husband at home is blind, it is miserable it is for you too, and then she started questioning the spiritual path, blaming everything. That's when she came to me and I told her to stop listening to these spirits. So, this is what happens in Yoga Maya. These are three types of Maya, and one has to cross over the three types. 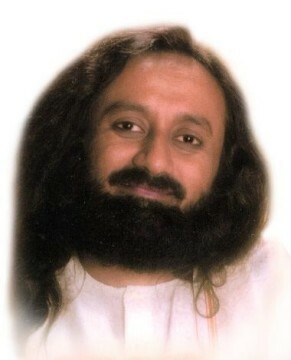 Gurudev, how do you distinguish between intuition and Yoga Maya? Intuition is different. Of course, intuition is also a siddhi. But there is a very clear difference. In Yoga Maya, you will find someone coming and telling you. And you cannot avoid Yoga Maya. Yoga Maya is not a bad thing. The way to win over it is go through it and not be attached to it; use your brain also. This is a very delicate balance – keeping your mind and also tuning into your intuition. You need to have that balance. Unless and until you are totally centered and hollow and empty, your intuition is always colored by your own cravings and aversions. When you win over these things then Yoga Maya is your friend and does not pose a challenge. That is why path is essential and the Guru is essential because the Guru can guide you and tell you, ‘This is Yoga Maya’. Or he will say, ‘Yes, you are right’. So, without the Guru you cannot win over Yoga Maya. A Guru is very necessary. Though Lord Krishna was born a Siddha, he had to have a Guru and so he went to Rishi Sandipani. Lord Krishna says in Bhagavad Gita, "Mama maya duratyaya". My Maya is very difficult to cross over but it can be crossed over only by my grace, and only through me one can cross over that. That's what he told Arjun. It's very interesting how this whole thing is. So always be aware, be cautious of Maya. It can just come from somewhere and hold you in its grip, and the mind starts buzzing. Sometimes you have to snap out of that and that happens also by grace.